THIS STORE IS NOW CLOSED - THANK YOU FOR COMING TO OUR MILPITAS LOCATION - LOOK US UP NEXT YEAR FOR MORE HALLOWEEN STORE LOCATIONS. Take 680 to Calaveras Blvd. 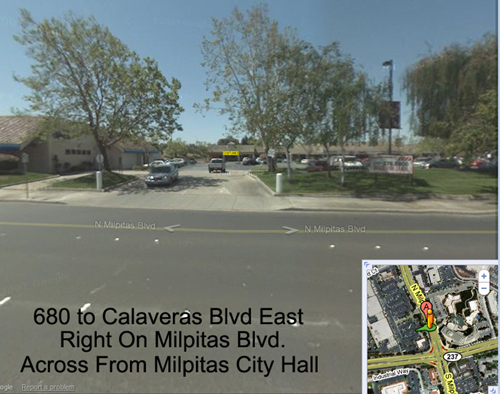 Go East on Calaveras Blvd to Milpitas Blvd. 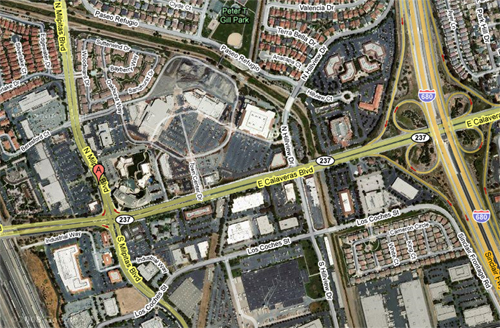 Take a Left into the Shopping center on the corner of Calaveras and Milpitas Blvd.